It was 80 some degrees out yesterday. I turned the oven on ANYWAY. I need to be committed. During the time that these bars baked, the temp in the house went up to approximately 426 degrees. No, really. Would I lie? Next week, it is supposed to get down to the high 70’s during the day and the low 60’s at night. I can’t EVEN begin to explain my excitement over possibly being able to open the windows and sleep at night with real air, not recycled. Think prepubescent girl going to see her favorite boy band type of excited. Then double it. These bars made the melting of all my skin layers worth it though. I have a major love for shortbread crusts on cookies ANYWAY (for whatever odd reason, they make me think of Christmas. Don’t ask. I dunno. ), and the crust on these bars is sooo buttery, so crispy/crumbly, just the way a good shortbread should be. 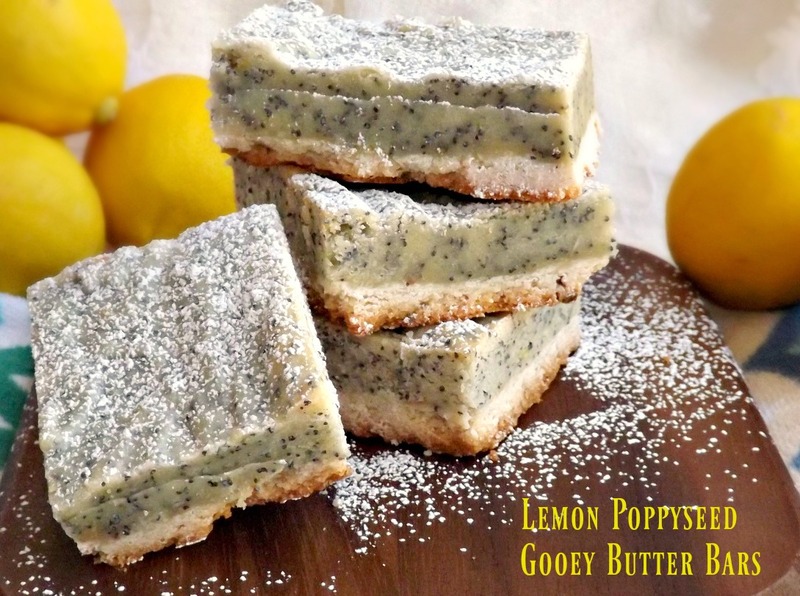 Add on a gooey, creamy topping filled with the flavors of lemon and butter, with the crunch of poppyseeds and I was in Heaven. Warning though; you notice the slightly grayish cast my bars have? I think I let my poppyseed love go a bit too far. These still taste fantastic which is why I’m posting them anyway, rather than remake them to have a better color for a photo, but yeah… a bit gray. So, in the directions, I am cutting them down a tablespoon. Feel free to add back in another tablespoon if you don’t mind the color. Preheat oven to 350 degrees. Line an 8 inch square baking pan with foil, then butter the foil or spray with cooking spray. In a medium bowl, combine the crust ingredients. Beat on low speed with a hand mixer until it holds together and resembles coarse crumbs. Dump this into the prepared pan and press all over the bottom of the pan. Bake crust at 350 for about 10 to 12 minutes, until it is a light golden brown. For the topping, in a small bowl, stir together the lemon juice, corn syrup, lemon zest, vanilla and lemon oil. In another small bowl, whisk together the flour and the poppy seeds. In a larger bowl, beat together the butter and sugar until well blended and creamy. Add in the egg and again beat until well combined. Add the flour mixture to the butter/sugar mix, alternating with the lemon juice/corn syrup mixture. Beat until well mixed after each addition. Spread the mixture over the crust, smoothing the top. Bake at 350 degrees for 25 to 30 minutes. The top will be a light brown and the center will still have a very VERY slight jiggle. It will all firm up as it cools. 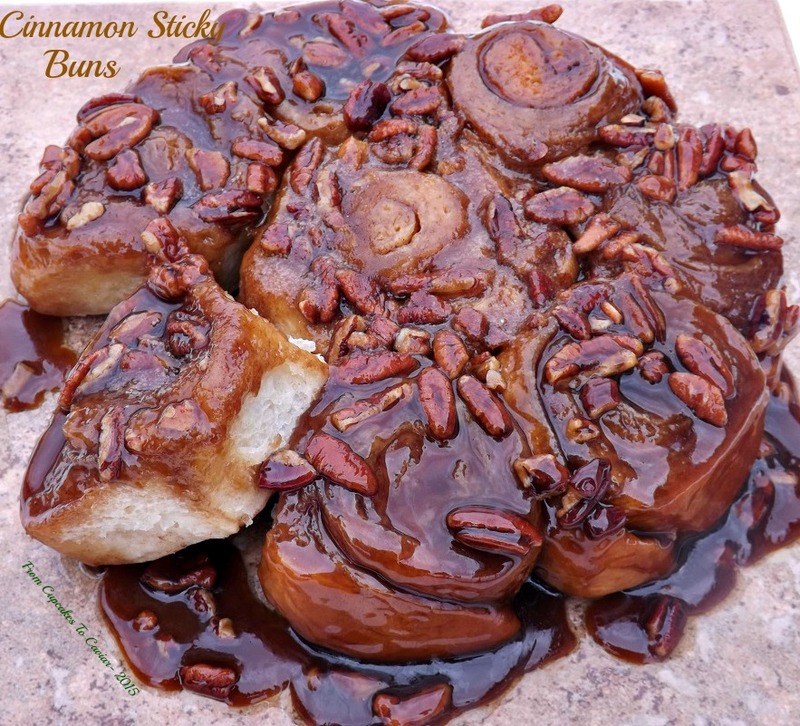 You don’t want to overbake these as you’ll lose the whole gooey texture. They’ll still taste great, but they will be much firmer. When done, let cool in the pan until completely cool, then sprinkle with powdered sugar and cut into small squares. You can store these at room temp if you know they will be gone within a day or two. Any longer than that, and I’d suggest the fridge for storage. Uncommon Goods Fathers Day Goodies! About a month ago, a gentleman named Tom from the company Uncommon Goods got in contact with me and asked if I’d be interested in reviewing one of their Fathers Day products or something from the section of their website geared towards what I jokingly call “Manly Gifts”. 😛 I had heard of Uncommon Goods before and had gone to the site to drool more than once. Drooling over cool products makes me happy. Plus, I found out that Uncommon Goods is so much more than just your average everyday shopping site. One of the things I love? They have another website called Uncommon Knowledge that has just what the name implies; all sorts of short pieces that delve into interesting and sometimes humorous subjects like “Is there a mom in your computer” or “What is the gold standard for sushi?”. This is a company that has been awarded the Bizrate award for outstanding customer service every year since 2007, so it’s not like they HAVE to go that extra mile to make another site. They do it just because they can, and want to. PLUS, as if that’s not enough, this is a company with a conscience. With every purchase you make, they donate a dollar to the non profit charity of your choice. Cool, right?! Back to the gifts however! If you visit Uncommon Goods you can see some of the neat gifts for the men in your life that they have. We’re talking everything from grilling supplies to a whiskey making kit to garden tools to these really cool Himalayan salt tequila glasses. And I didn’t manage to touch on what all they have. You can check out the ideas for men right here. I was given the option of choosing from that section or from their Fathers Days section which you can find right about here. I so love the make your own hot sauce kit over in that area! It took me a while but I finally decided on this Artisanal Bamboo Salt Chest. I have been trying forever to teach the guys in my life that salt can be soooo much more than the harsh stuff you get out of the cardboard containers form the grocery store, so I knew this would be something that my husband would enjoy as well as me. I just hadn’t realized how cool my KIDS would find it, too! I think we all raised our blood pressure about 50 points the first day by trying all the different salts, hehe. They have a few smoked salts in there that are amazing! I find myself reaching for them to sprinkle over anything that would do well with a smoky touch; meats of course, but also veggies, eggs, even pasta. Moral of the story? 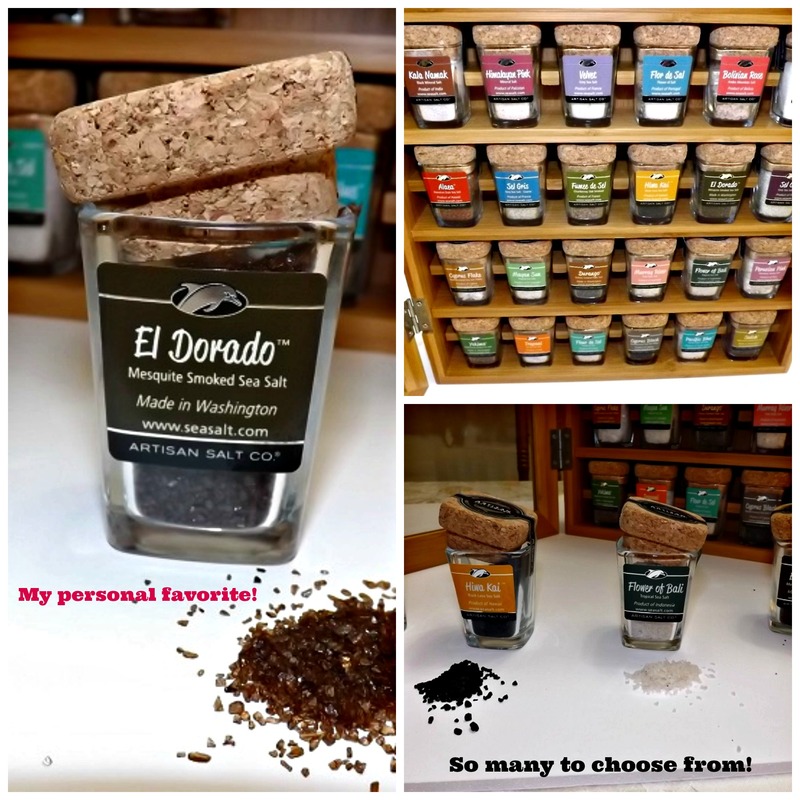 😛 If you’re looking for some great Fathers Day gifts or maybe hubbie or son has a birthday coming up, hie thyself on over to Uncommon Goods and check out the gifts they have there. Make sure you check out one of my favorite areas over here if you have any geeky guys in your life; I’m totally crushing on these planet lollipops! I know for certain they have won MY loyalty with great products. I am already planning how to refill the various salts in the case! Disclosure- I was given product to review in exchange for my honest opinion. All opinions in this post are my own and are 100% honest. I remember when I first started canning about 15 years ago. I thought I owned the world. To be able to create jams, jellies and preserves in flavors no store would ever have; to feel so danged “Earth Mother-ish”. It was empowering in its own weird way. The first thing I ever made was orange marmalade. It was, yet again with me, a case of not even realizing I had picked something that experienced cooks/canners don’t like to do and that the inexperienced canners balk at. I have a habit of that. Same thing happened the first time I made croissants not long after I started baking with yeast. I found out later that many experienced home bakers don’t like to attempt croissants because they can be touchy. I’ve always been like, “This sounds good… I want to make it” and I give it a try. Usually things go well. I suppose ignorance really is bliss, ehh? 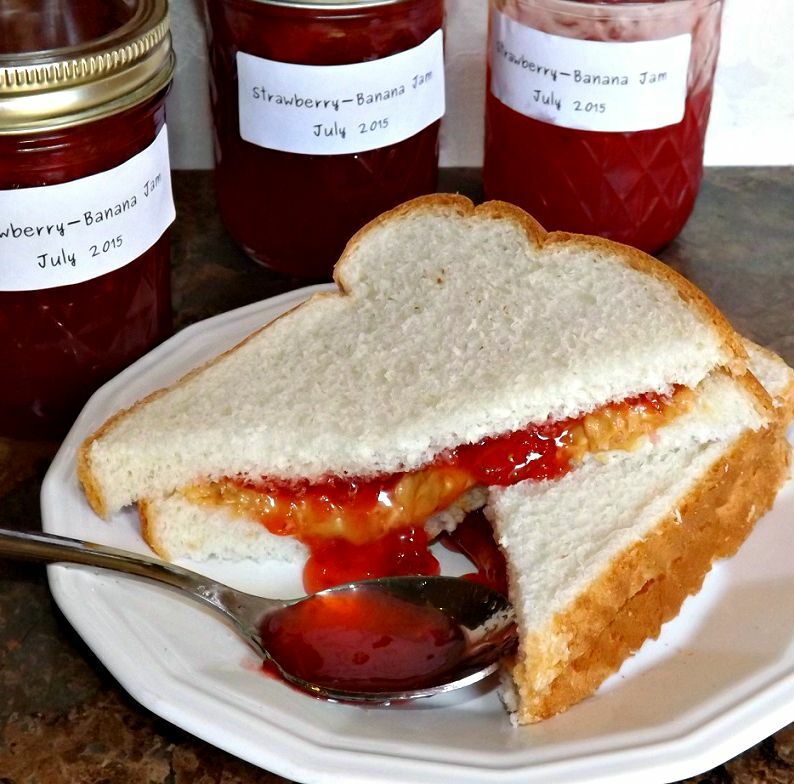 This particular jam is a favorite in my family. My son Jordan has to be stopped from just eating it out of the jar as dessert and my husband, who is diabetic, loves it even though it’s so NOT good for him. 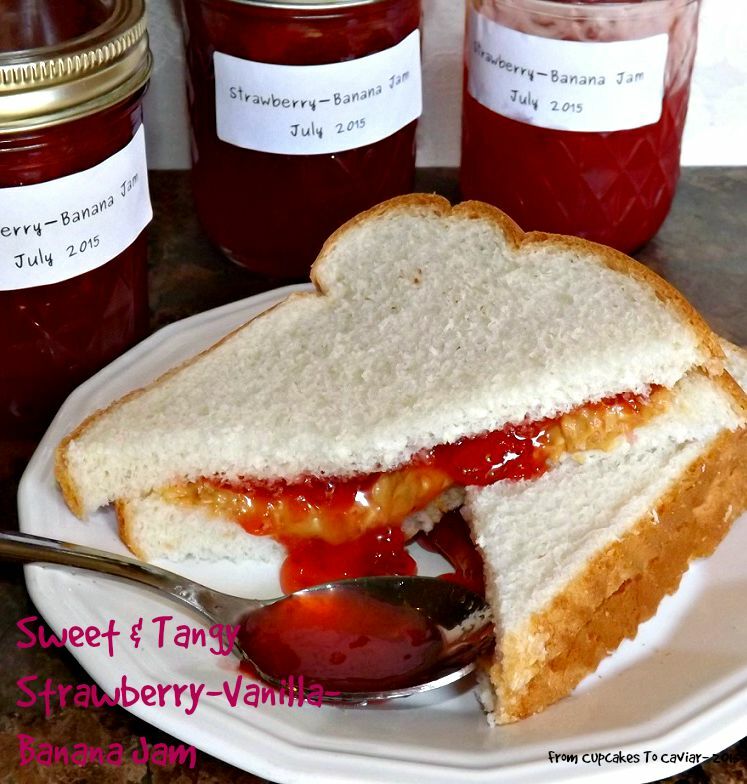 If you like the classic mix of strawberry banana, you will love this jam. And contrary to what you may think, home canning isn’t difficult at all. If you can mix, stir, ladle into jars and then boil sealed cans, you’ve got this. I will say what I say every time I post a canning recipe, however. Steer clear of recipes/web sites/blogs that tell you it is just fine and dandy to do things like seal your jars by turning them upside down or just putting a lid on and letting the inner heat seal them, etc. These methods are NOT safe. You’ll run into people who will say, “Oh, my gramma/great gramma/gramma 35 generations ago did it this way and everyone was just fine.” They’re wrong, plain and simple. We have no way of knowing how many illnesses, “Oh, she has a stomach virus” or even deaths back in the day were from food poisoning. Seal your cans the correct way and you’ll have tasty food that is safe. Here’s a wonderful site to check out if you’re new to canning- Fresh Preserving . It will guide you along in easy terms and make you see how simple this really is! You know the drill…. git to cooking. Erhmmm, canning. This makes about 8 half pint jars. Prepare your jars as directed in the above link and set your lids in a bowl of bowling water to sterilize them. Stem your strawberries. Crush them and measure out exactly 3 1/4 cups of the mashed berries (if there is any left over, which is doubtful, just find another use for them). Mash the bananas and add exactly 1 1/2 cups of them in a large pot along with the mashed strawberries. Stir in the lemon juice and the vanilla. Stir the powdered pectin into the pot with the fruit. Make sure you have your sugar measured and at hand. Add the butter and bring the fruit/pectin mixture to a full rolling boil (a boil that can’t be stirred away), stirring constantly. Pour in the sugar all at once. Still stirring constantly, bring the mixture back to a full rolling boil Once it gets there, boil for a full minute. Immediately remove form the heat and skim off any foam that has collected on top. Let the pot sit for five minutes, stirring about once every minute to help make sure the fruit doesn’t settle, but stays suspended throughout the mixture. Ladle into the prepared jars; wipe the jar rims and threads with a clean hot, wet cloth. Cover with the lids and process in boiling water for ten minutes. Remove form the water and let cool, set on a clean towel. You’ll hear a satisfying “ping!” as each jar seals. Label and store in a dark, cool place. Ahhh, Spring; that season where our land turns to a swamp and I expect any minute to see crocodiles and hear lively Cajun Zydeco music. But Spring is also the season for Easter, the day when Jesus rose from the dead and set the stage for our salvation, a gift we can never hope to repay. I wanted to put together a compilation of recipes for you that celebrate both the season and the day. Enjoy and have a wonderful Easter Sunday! Blueberries are starting to come into season and get a bit less expensive at the stores. 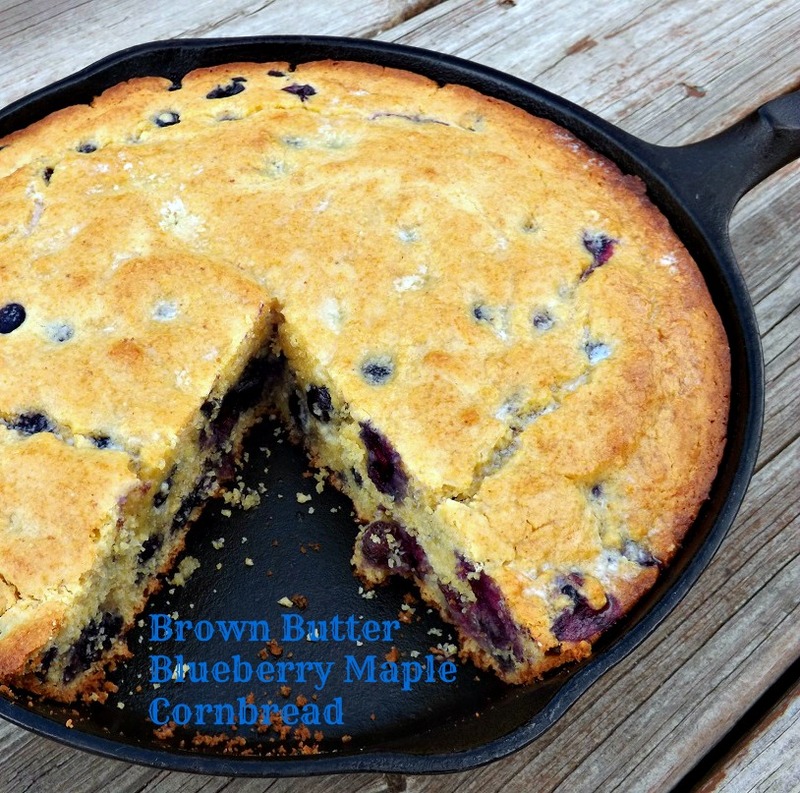 This cornbread is a delicious way to enjoy them! And you need a main course, of course. This is my all time favorite way to make ham. 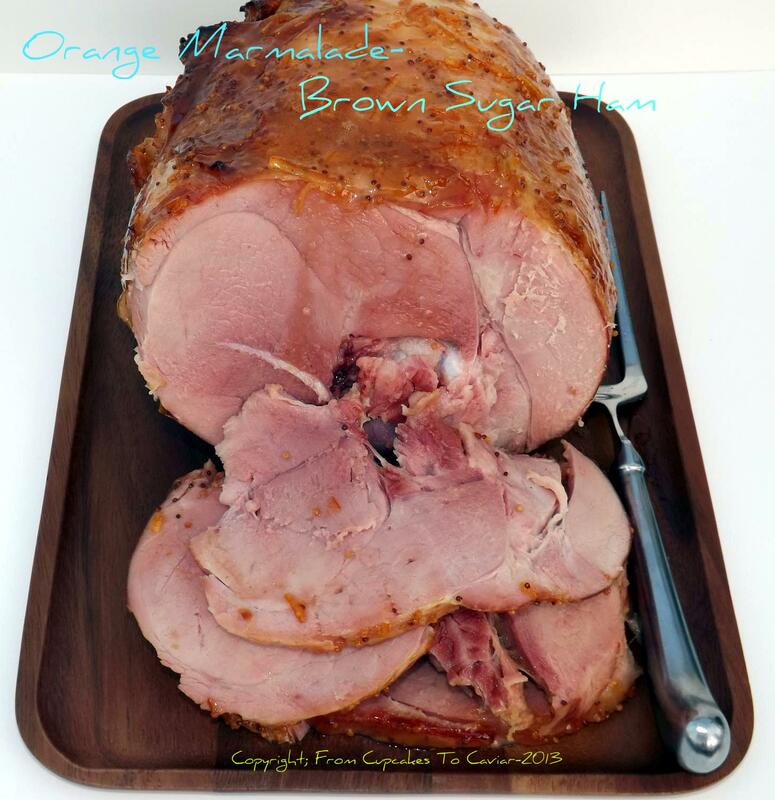 The orange marmalade glaze is delicious and I am sure it could be used on any other ham (or even a pork loin roast or chicken) just as easily. 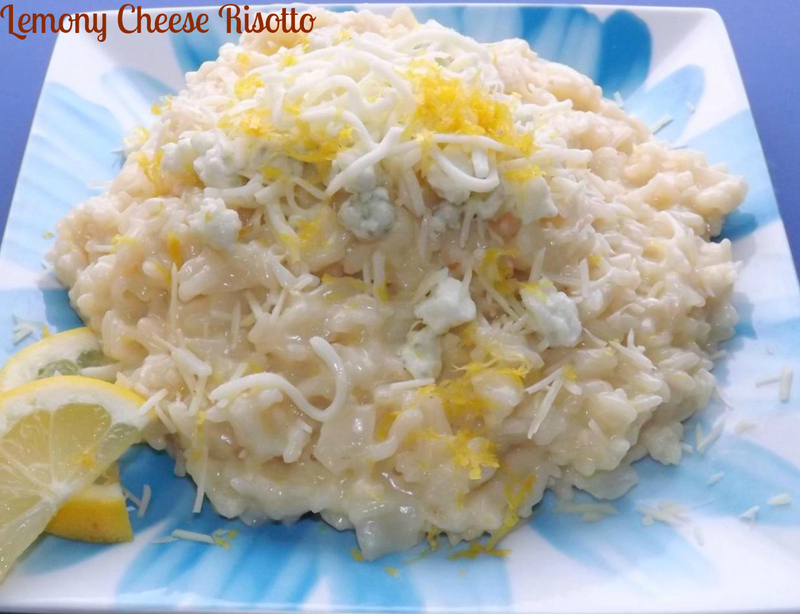 Here’s another risotto for you. For some reason, risotto just says Spring to me. 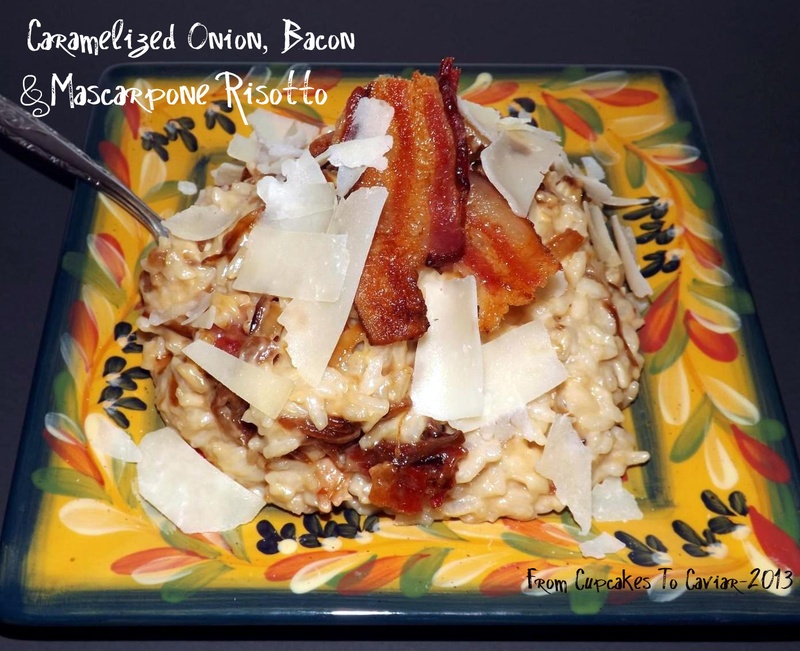 If I’m wrong, oh well; it’s still a very tasty risotto, lol. I mean; bacon, mascarpone cheese and caramelized onions. What could be bad about that? 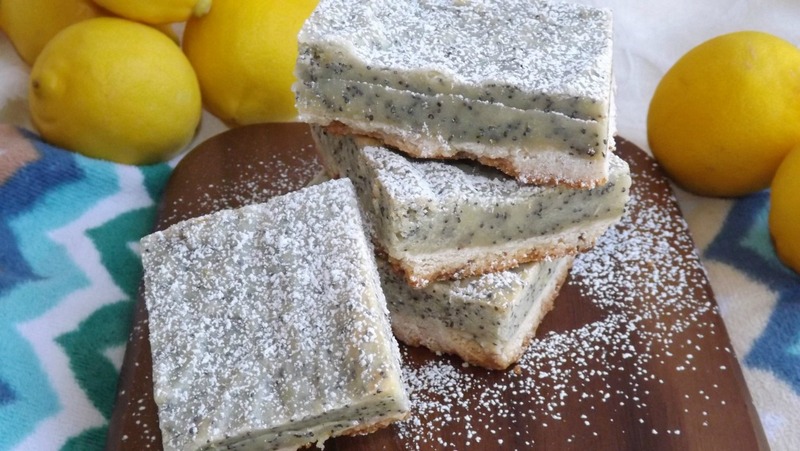 You have to have lemony foods during Easter and in the Spring, am I right? They are just so bright and fresh and lively, the are perfect for this time of the year when the world is waking up from its slumber. This cake is so fitting. 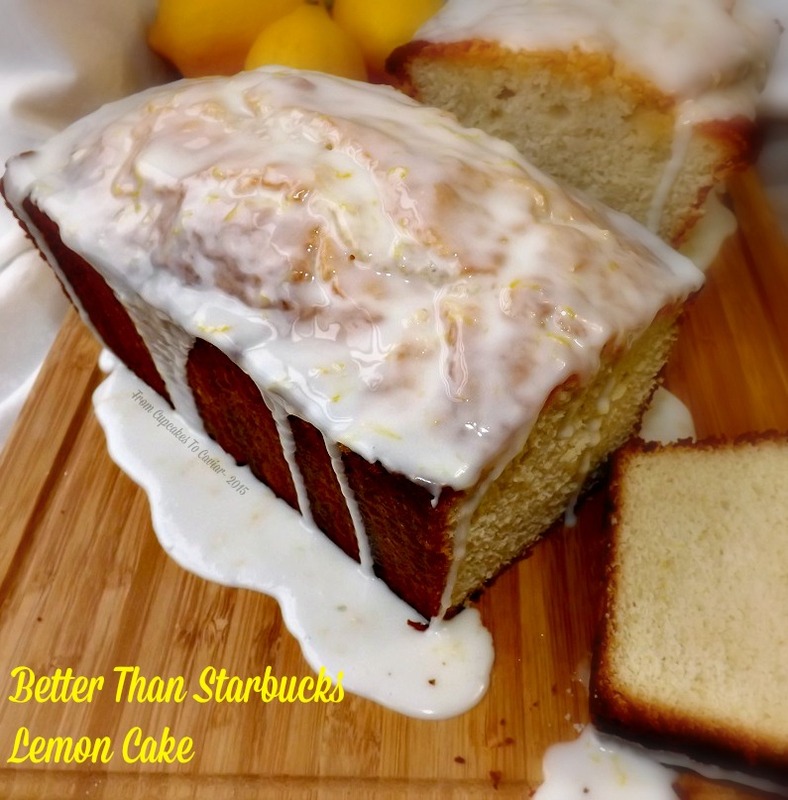 lemony and zesty and tangy and oh so good! If you’d prefer something non-alcoholic, this is one of my favorite ways to make a fresh tasting tea. This is made with Constant Comment tea, Lemonade mix and water; easy peasy. 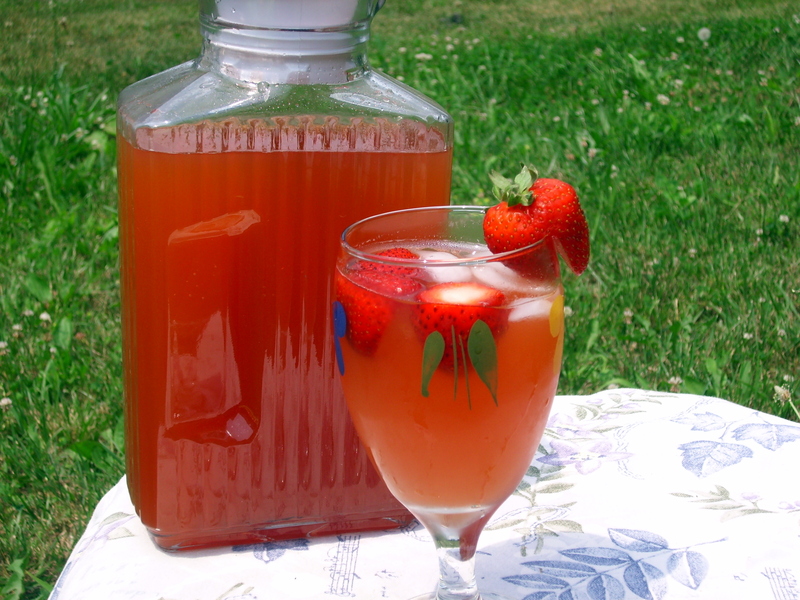 Then you garnish it with frozen strawberries in lieu of ice cubes and enjoy. If you’re wanting some fresh bread for the Easter table, I have a few you’ll love. 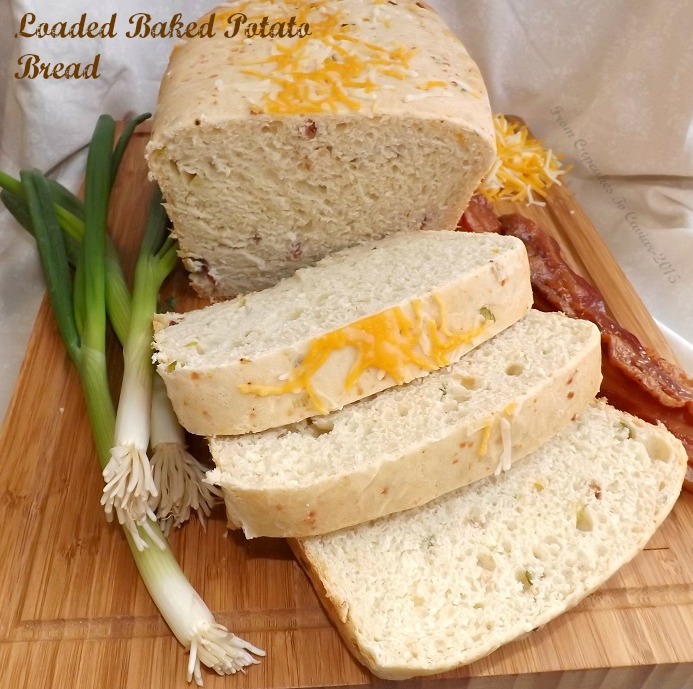 This loaded baked potato bread is one of my favorites. it is so moist and stays fresh for days thanks to the potato in it. But it won’t last that long because…well…bacon. And cheese. Or maybe your family prefers rolls instead of a loaf of bread? 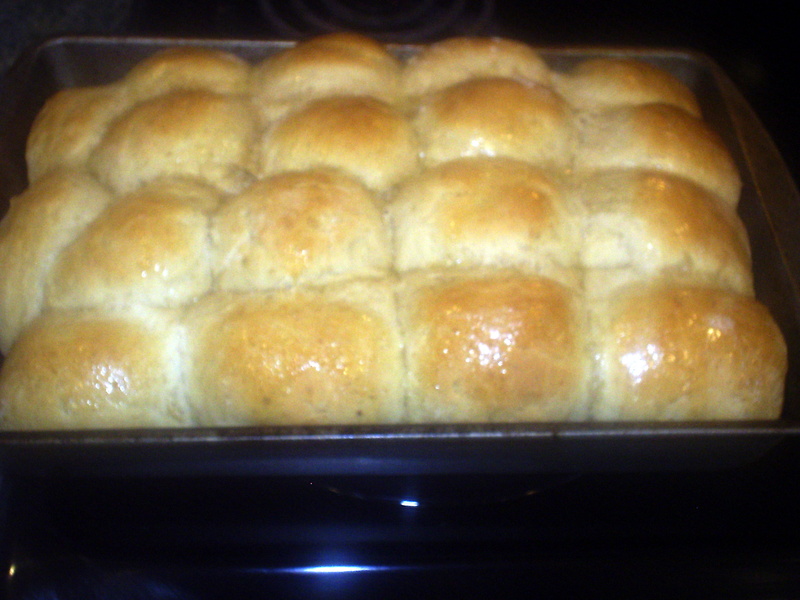 These oatmeal rolls are my family’s favorite. This isn’t the greatest photo since it’s one of my earliest posts, but don’t let that influence you away from trying these. These are soft and fluffy with such a good flavor. 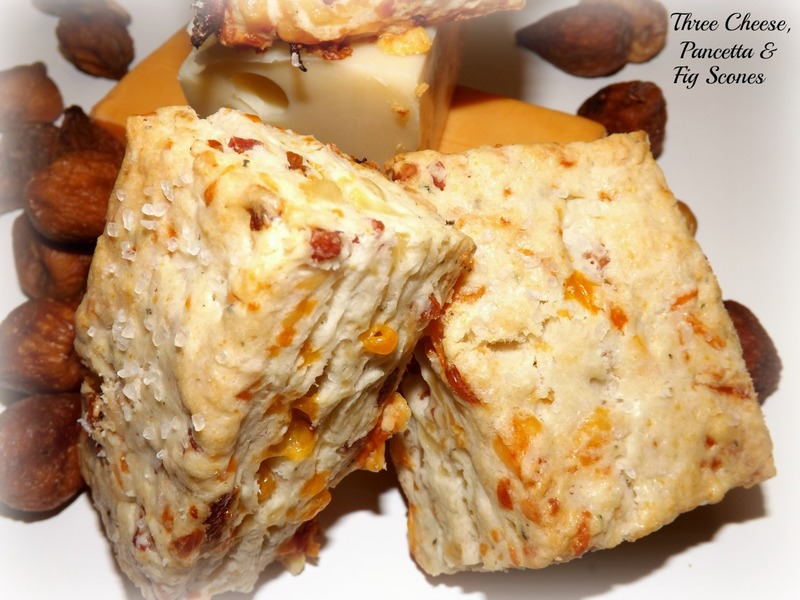 These three cheese, pancetta and fig scones are my absolute favorite. 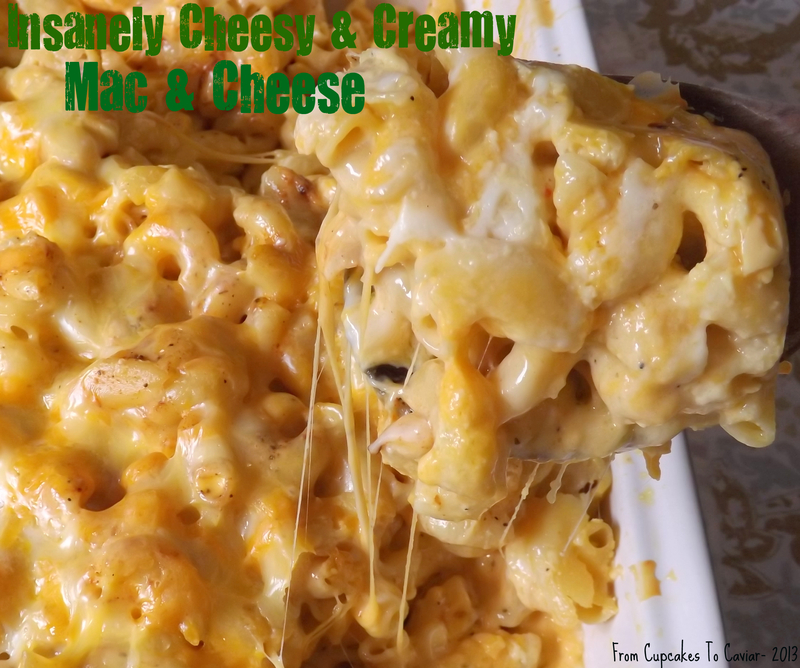 The mix of sweet, savory and cheesy is wonderful! And they are great for a buffet brunch on Easter. Last but not least- this cheesecake is utterly amazing (if I do say so myself). 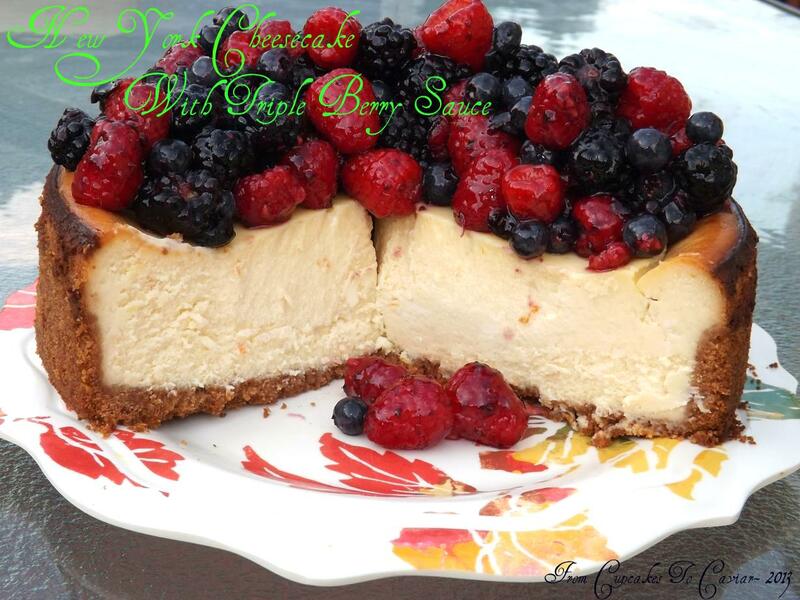 Moist, creamy and the berry sauce on top is the perfect foil to set it off. Plus, it just looks so darn impressive! I think it may be a lost cause though. All the weight I lost and said “Nope, never gaining it back! Not me!” is back. The part of me that looks at modern society and sees thin women in beautiful clothes cares. But the part of me that is almost 51 and likes to eat creamy fudge pie? Not so much. So far, the fudge pie part is winning. I know me though… at some point, I’ll go through the cycle all over again though I’ve lost all hope that it will be permanent. I’m not willing to cut out all the fun foods nor am I willing to exercise for 2 to 3 hours a day, which at my age, I’ve found seems to be the only way to keep the weight off. I have been making this pie for many many years. It comes from what I have mentioned before is one of my favorite cookbooks- The Fannie Farmer Baking Book. This is the book that helped me learn to REALLY bake as an adult, not the throw together stuff I did as a kid and teen. It’s one I’ve been using for about 30 years now and love. My copy is tattered and stained and I really should get a new one. Someday. Make this pie. You can cheat like me and use a store bought crust or make your own if you’re feeling ambitious. I do either, depending on my mood. Store bought won this time. This pie is very chocolatey, but not pudding like as most chocolate pies are. 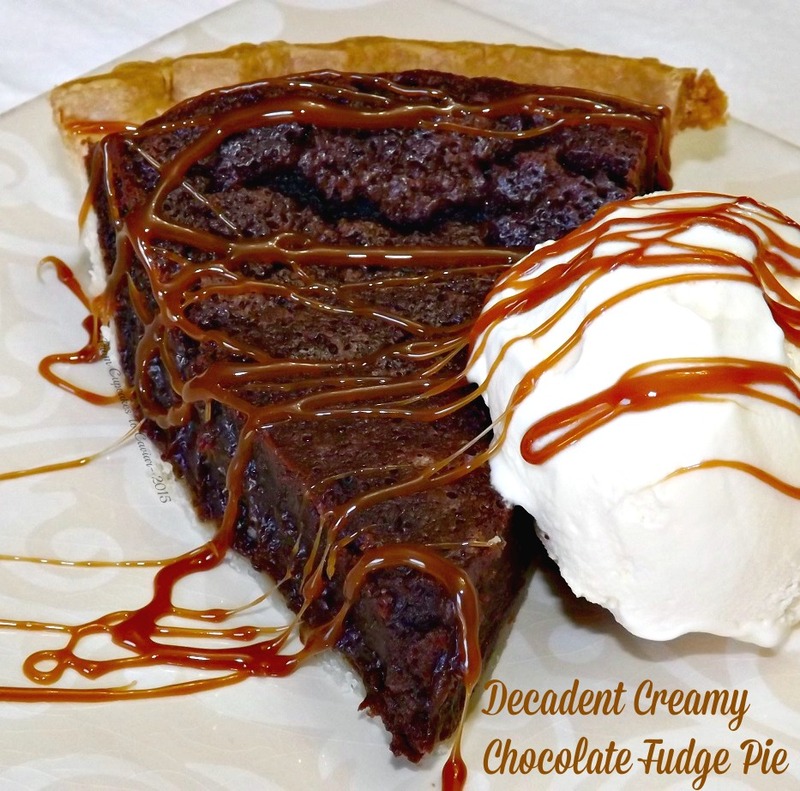 it is, as the name says, more fudge like, almost like having a dense brownie in a pie shell. Over the years, I have of course adapted this to our liking but it isn’t much in the way of changes at all. All I do differently is to increase the filling by 50% because otherwise it’s rather thin and I add a bit of almond extract to the filling. Since it’s with the large amount of chocolate, it doesn’t taste almondy so much as, like adding espresso, it just adds that certain something to the flavor. Did I mention that this pie is also really really easy to make? Preheat oven to 350. In a microwave safe bowl, combine the butter and chocolate. Cook at full power for one minute, stirring afterward, then putting it back into the microwave to cook in 30 second increments until the chocolate and butter are melted and combined and the mixture is smooth. Whisk the eggs in a medium bowl. Add in the sugar, flour, salt and extracts. beat just until smooth. Stir in the chocolate/butter mixture and blend well. Pour into the pie shell. Bake at 350 degrees for about 30 to 40 minutes until the pie is gently set. It shouldn’t be liquidy looking at all on top but should be set. The pie will fluff up as it bakes, then sink and crack all over as it cools. This is normal. 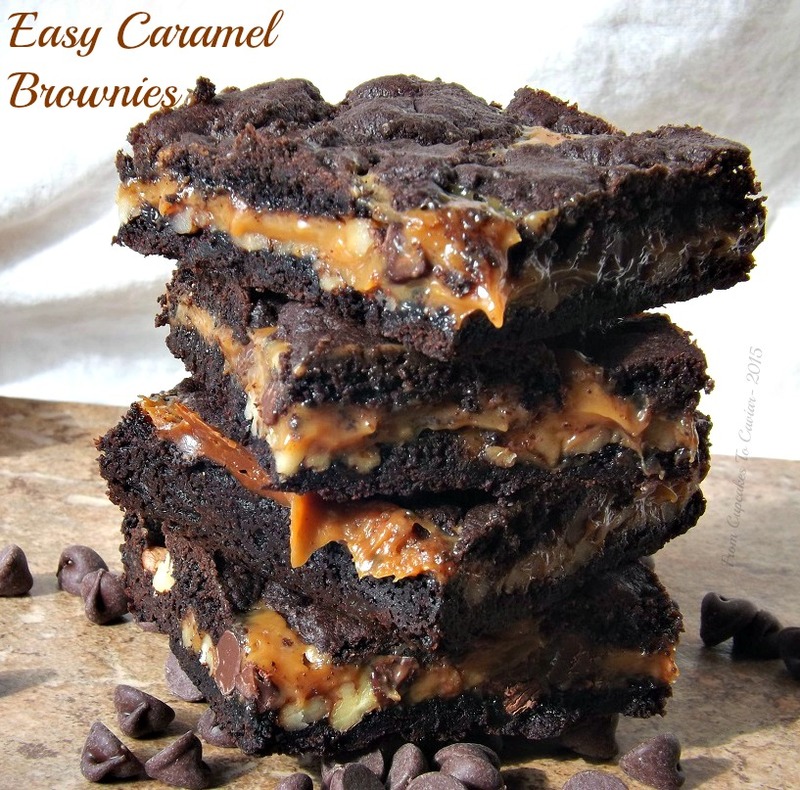 The top will be an almost chewy, brownie like layer with a creamy mousse like layer under that. 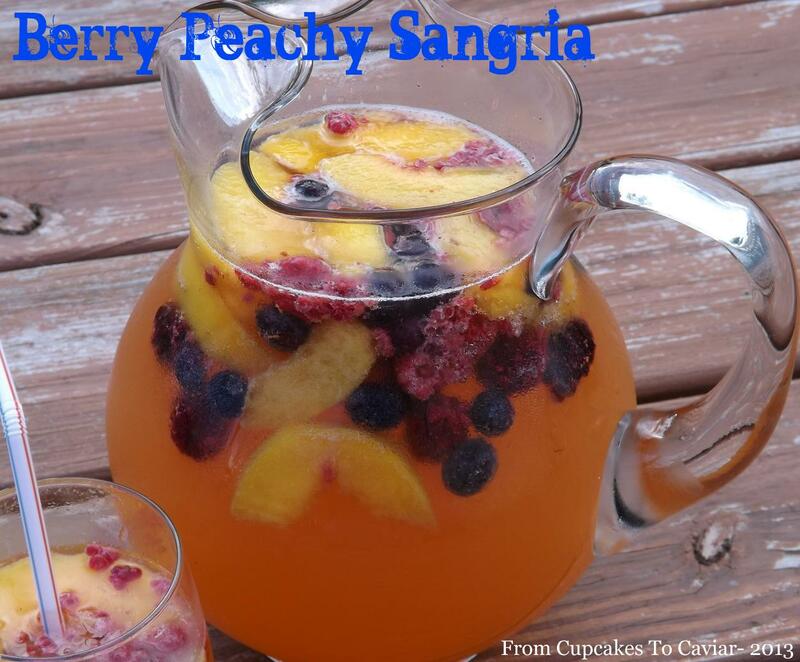 Cool and serve with whipped cream or vanilla ice cream. A while back on my facebook page, I asked my followers there (why is it that every time I say “followers”, I feel like Jim Jones holding up a pitcher of kool-aid? Come to me, my pretties… I’ll make life allll better!) what they wanted me to make- sweet, savory, specific flavors? I was having a brain dead day. I have a lot of those. 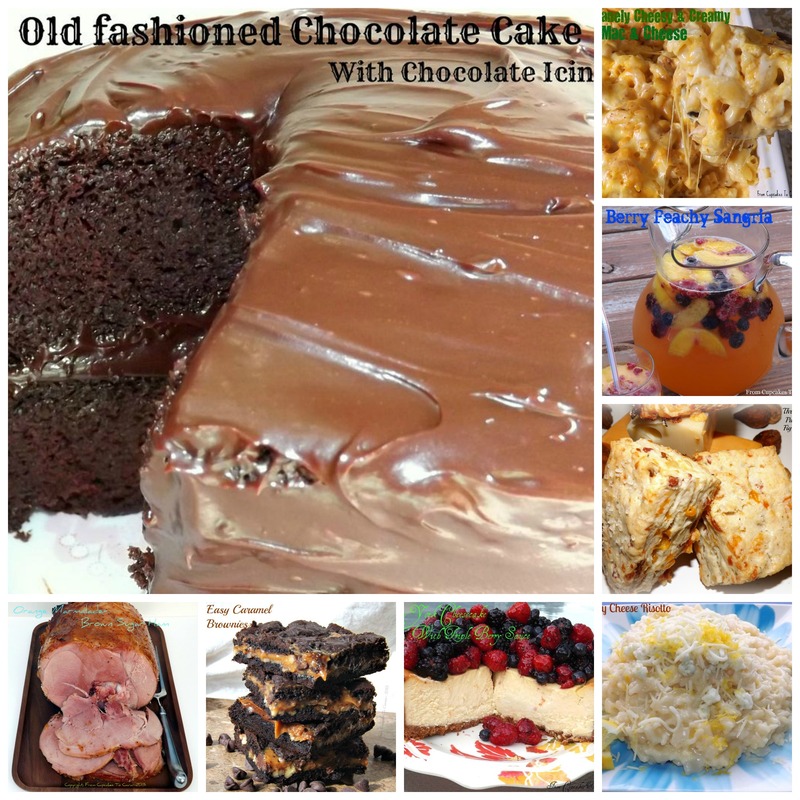 Most people came up with suggestions fitting this blog, i.e., fattening, high calorie, etc. A few however, seemed to forget where they were. I got suggestion for… *GASPS*…. low calorie foods and I was told in email that I needed to start blogging more low cal, even diabetic friendly recipes and that I should also post some vegan ones more often. I can appreciate that people want those type of recipes and I will happily guide my readers towards some wonderful blogs and web sites that do that type of food, but unless I make something that just HAPPENS to fit that criteria, I won’t be posting that style of food. There are 900,000 blogs out there cooking under many different topics. Mine is a baking/comfort food blog. You wouldn’t go into a restaurant that specializes in home cooking, things like meat loaf, mashed potatoes, cream pies, etc and say, “Hey, I want you to make me a nice vegan lentil dish. This other stuff just isn’t what I’m looking for and you need to stop serving it.” Same thing here on my little corner of the internet. I love you all more than pizza (fully loaded with extra cheese even) and if I make a recipe that is Vegan or low cal or wonderfully good for you, you’d better believe I’ll post it. But will I actively search for or make those kinds of recipes? No. I enjoy baking, I enjoy comfort foods (and big hips and thighs obviously). However, believe it or not, I make healthy foods sometimes But I do it because I like the sounds of a recipe or want to try making something differently or because I had to turn sideways to fit my hips through a door and can’t afford new jeans and am getting tired of sitting around the house in a Muumuu. On that note….. cake. With calories galore. 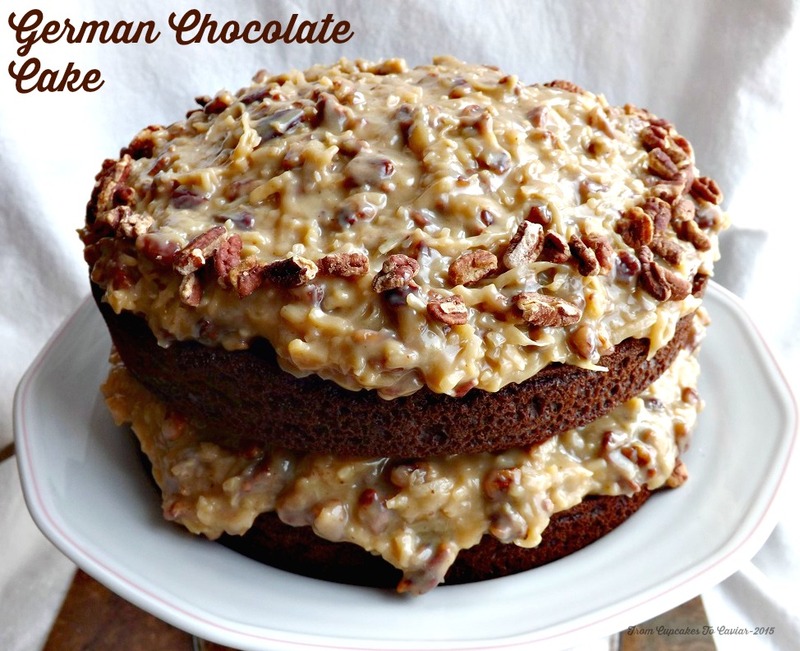 FYI- This recipe makes a TON of frosting. I still had some left over and you can see how heavily iced this cake is. I can see cutting it in half and still having enough for the cake, easily. I have noticed in the past that Southern Living recipes can lean towards a bit of inaccuracy in amounts, as much as I love them. Preheat oven to 350 degrees and grease 2 9 inch cake pans with a baking spray that combines oil and flour. Wilton makes a good one. Place the chopped chocolate in a microwave safe bowl and microwave in 30 second increments, stirring after each one, until chocolate is fully melted. Set aside to cool a bit. In a small bowl, whisk together the flour, cocoa powder, baking soda and salt. In another bowl, beat the butter and sugar together until light and fluffy. Add the eggs and egg yolk, one at a time, beating well after each addition. Add in the vanilla extract and beat just until combined. Alternately add the flour mixture and buttermilk, beginning and ending with the flour (flour, buttermilk, flour, buttermilk, flour). Fold in the melted chocolate. Scrape batter (it will be thick) into the prepared pans, smoothing the tops of each pan of batter. Bake at 350 until a wooden skewer inserted in each comes out clean, about 30 minutes. Let cakes cool in the pan, on a rack, for five minutes, then turn out carefully onto the rack to finish cooling. 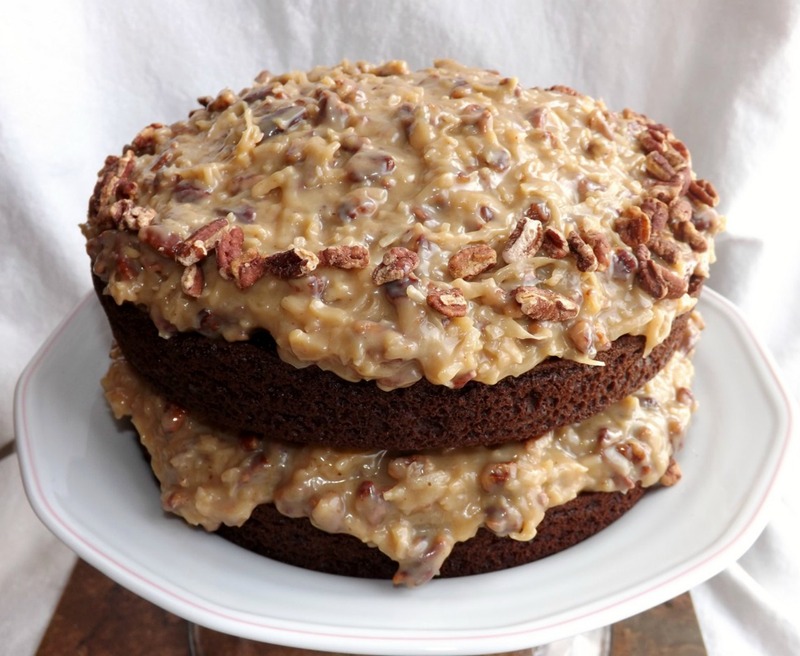 While the cake cools, make your frosting- In a large pot, combine the butter, sweetened condensed milk and brown sugar. Cook over low heat, whisking often, until mixture is smooth. Don’t let it get extremely hot; you’re just getting it all melted down and combined. Add a little of the mixture to the egg yolks and whisk to combine. You’re just trying to heat the yolks so they don’t cook unevenly when you add them into the milk mixture. Whisk the egg yolk mixture into the milk one. Let cook over low heat, whisking often, until it has thickened up, about 8 to 10 minutes. Transfer it to a large bowl and add in 3 cups of the pecans, the coconut, vanilla extract and salt. let this cool. It will thicken more as it cools down. Place one cake layer on serving plate. Frost with half the frosting. Lay the other cake layer carefully on top; frost with the rest of the frosting. Garnish withe the rest of the pecans. Tomorrow night, when Downton Abbey comes on, I, along with half the United States, will be parked in front of my TV watching it. The difference is, that I will be doing so with a outrageously huge slab small piece of this cake and a cup of tea. Mrs. Patmore would be proud of this one and Lord Crawley, for all of his snobbishness, would love it. Mary would however, turn her nose up at it’s simplicity because…well, because she’s Mary. Of course, I will have to make another one of these cakes to be able to enjoy that outrageously huge slab, erhmmm, dainty little slice because this one is about gone already. 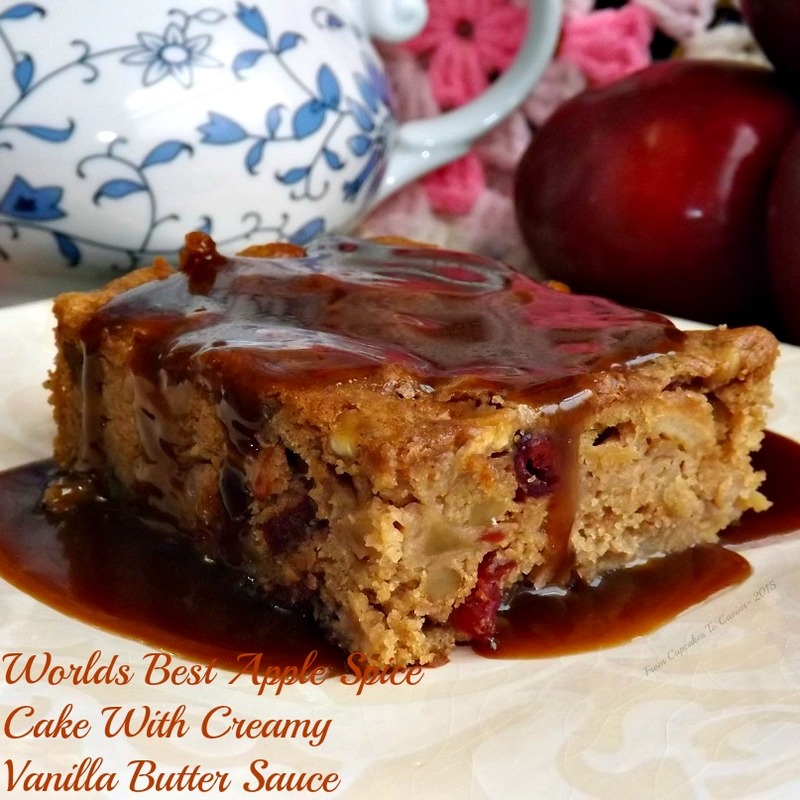 I used a mix of tart and sweet apples in this cake. I like to mix it up when I am using apples in a dessert like this. Also, feel free to cut down on the amount of spice a bit if you’d prefer. I like things to be fairly heavily spiced, but I know not everyone shares my quirks. This is beyond easy to throw together. The most time consuming part is chopping the apples. After that, wham bam, thank you apples and it’s mixed. The sauce doesn’t take but a few minutes too and it’s so worth it. It just puts this cake over the top. Add a bit of whipped cream or vanilla ice cream if you’re trying to totally put this into the category of decadent. Preheat oven to 350 degrees. Grease a 9 inch square pan. In a medium bowl, combine the butter and brown sugar. Beat until thick, creamy looking and fluffy, about 3 minutes. Add in the eggs and vanilla extract and beat just until combined. In a small bowl, whisk together the flour, salt, baking powder and spices. Add to the butter mixture and beat until well blended, scraping bowl once to get all the mixture in there. 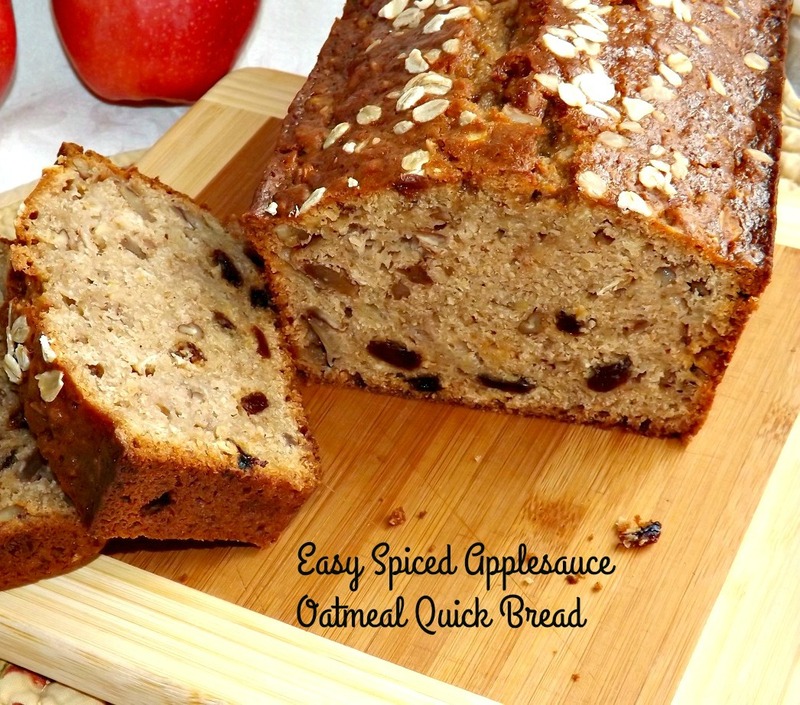 Pour in the apples, cranberries or raisins and walnuts and stir well to combine. Make sure the apples are well coated. This will look “apple heavy”, but trust me, it works out. In a small pot, combine the butter, cream and brown sugar. Bring to a simmer, stirring frequently. Simmer for about ten minutes, until it has started to thicken somewhat. Take off the heat and stir in the vanilla. I think I’ve mentioned before (probably many times. I’m getting old and forgetful. Hey, did I mention that I’m getting old and forgetful?) that I was lucky enough to live in Germany for three years in the mid 80’s. Yes, I’m well aware that many of you were barely crawling in the mid 80’s. Just get me my Geritol and call me Granny. I had my first two children while there and when my oldest was little, one of my favorite things to do was to go to the local Konditorei and by a pastry or nine two. My sons favorite was always one that was similar to American Mallomars but 900 times better. It had a thin wafer bottom covered with a mound of fresh soft marshmallow then coated in chocolate. It was delicious. My favorites however were anything gooey, messy and preferably with crumbs on or in it. 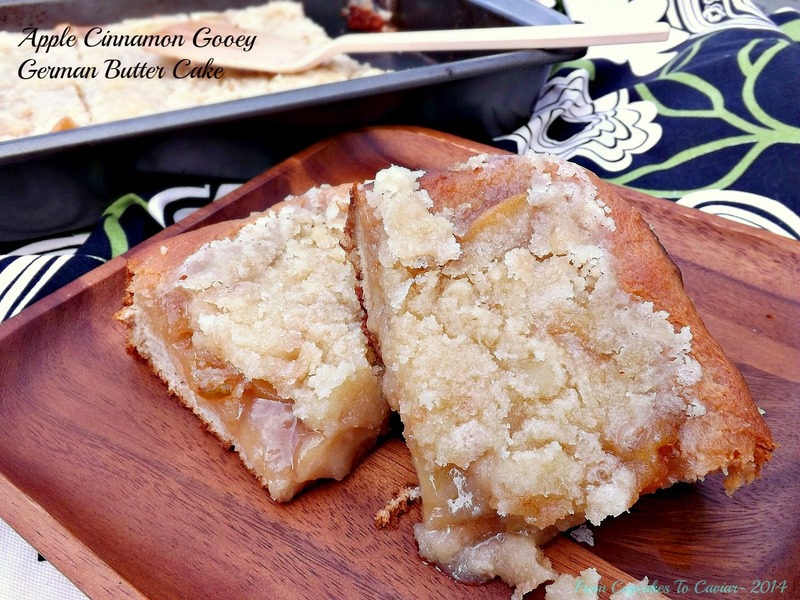 No way to go wrong with gooey and/or streusel, now is there? German Butter Cake is one of those desserts that you can also serve for breakfast based simply on the fact that it resembles a coffee cake/crumb cake and it is a yeast based cake. Anything with yeast means it’s a bread and you can always serve bread for breakfast. This gooey cake is, as I said, yeast based instead of baking powder, but don’t let that scare you away. It’s extremely easy to toss together. 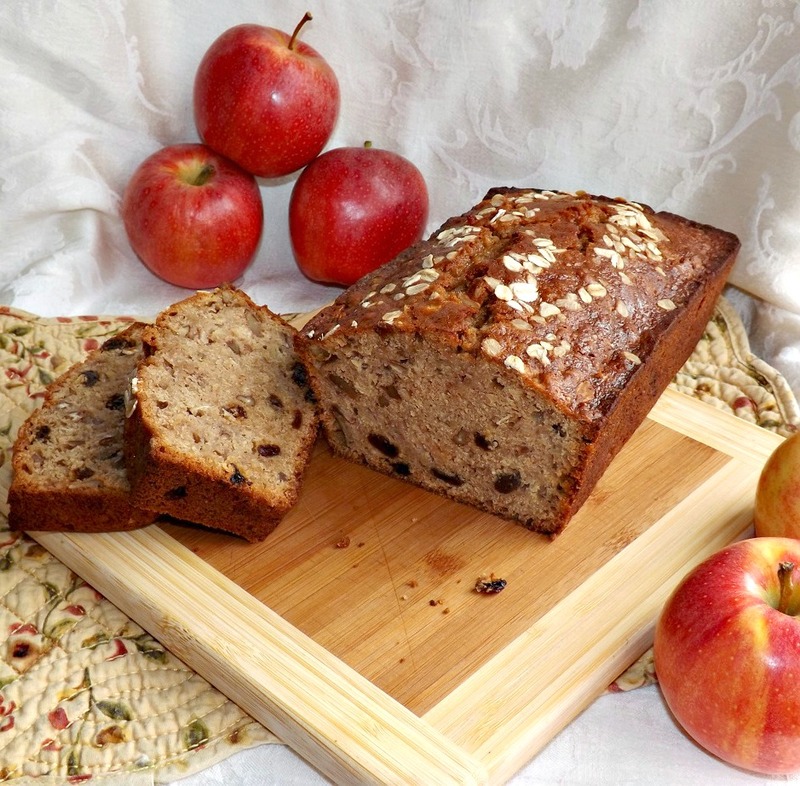 The most time consuming part of this recipe is peeling, slicing and sauteing the apples. The rest is pretty much wham, bam, thank you ma’am. This isn’t the prettiest cake but it’s delicious. I covered the base with a layer of sweet buttery sauteed apples before I coated it all with the crunchy, crumbly topping. The topping stays partly gooey, as it’s supposed to, but it also get a nice crunchy, crackly edge. You know the drill… git to cookin’! Start your apples first so they have time to cool. In a medium pot, melt your butter. Add in the sliced apples and cinnamon. Cover the pot and saute the apples over low heat until the apples are crisp tender. Toss in the sugar, mix well and crank the heat up to medium. With the cover off, saute until they start to caramelize, about 5 minutes. Remove from the heat and let cool. Dissolve the yeast in the warm milk. Let sit for five minutes. For the cake, in the bowl of a stand mixer (this can all be done by hand or hand mixer if need be), combine the butter, sugar and salt. Mix on low speed until creamy. Add in the milk mixture, then the egg and vanilla extract, then the flour and spices. Put your dough hook attachment on and let it knead the dough for a minute or two. It is not a dry dough, so expect it to be a bit sticky and tacky. Remove it to a small bowl and let it rise until double, about one hour. In the stand mixer bowl with the beater hook, combine the butter, flour and sugar. Mix on low for a minute; just to get it all combined. Add in the eggs, vanilla and Fiori De Sicilia (if using). Beat at low speed until you have a mixture that rather resemble s crumbly cake batter. Set aside. Spray a 13×9 inch pan with cooking spray. Punch the dough down and then press it onto the bottom and half an inch up the sides of the pan. Pour the cooled apples and any saucy mixture in the pot over the top of the base. Use your fingers to arrange the apples so they cover the bulk of the dough. Carefully spread the topping over the dough, taking care to not move the apples all over the place. After this is done, let the cake alone for 20 minutes or so so that it can rise a bit. Preheat your oven to 375 degrees. 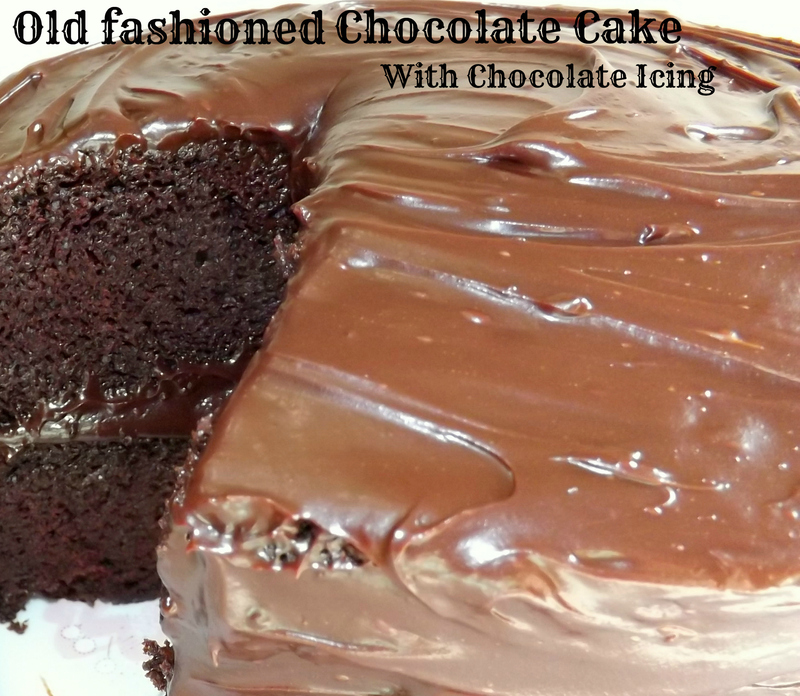 Let cool for about 20 minutes before trying to cut it or it will just ooze everywhere and you’ll end up with half the topping in the pan rather than on the cake.